Bright Akhuetie is this season’s Most Valuable Player. 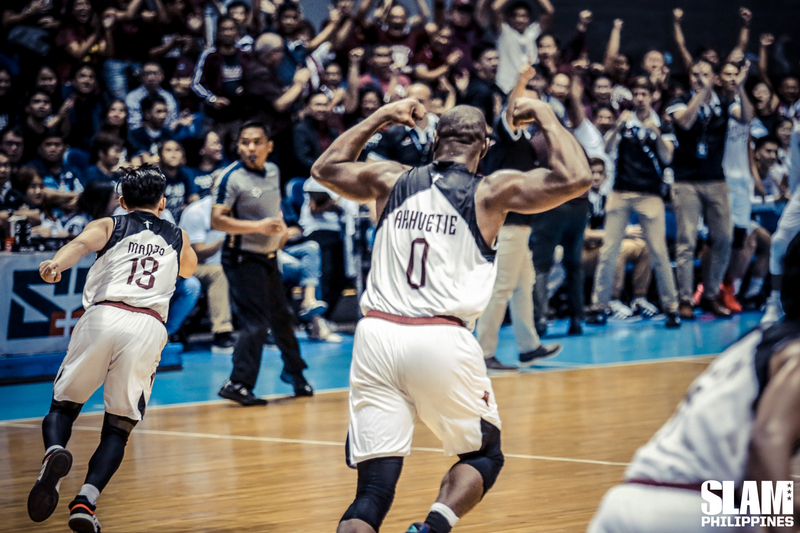 The Fighting Maroons’ big man was a big reason for UP’s magical run to the Finals. Last year, the Fighting Maroons were missing a consistent presence in the paint. The Fighting Maroons finished at 6-8, barely missing out on the Final Four. This year, with Akhuetie as the anchor in the paint, UP finished at third place with an 8-6 record. Akhuetie averaged monster numbers with 18.9 points, 14.6 rebounds and 2.8 assists. He led the league in rebounding and was second in scoring. Akhuetie leads this season’s mythical team with UP teammate Juan Gomez De Liano. The multi-talented point guard averaged 16.2 points, 6.6 rebounds and a league-leading 5.5 assists. He recorded the first triple-double in the UAAP in 12 years when he tallied 15 points, 12 rebounds and 12 assists against the UE Red Warriors. Joining the two Fighting Maroons in the Mythical Team is Alvin Pasaol of UE. Pasaol led the league in scoring, averaging 24.4 points per game, breaking the local scoring average of Terrence Romeo 22.2 points per game. Pasaol added 11.0 rebounds per game. Jerrick Ahanmisi and Justine Baltazar round out the Mythical Team. 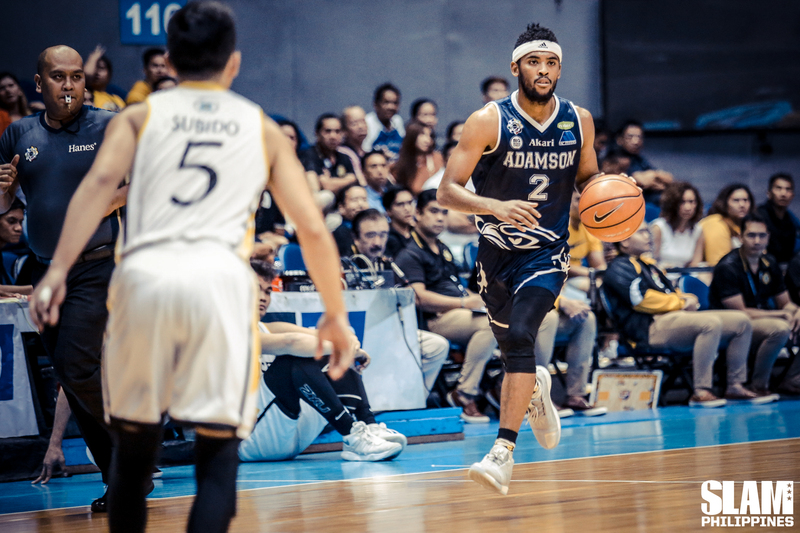 Ahanmisi led the Adamson Soaring Falcons to the second-best record in the league. He finished third in scoring with 18.0 points per game and was tied for second with 3.1 threes made at a 41.7% clip. Baltazar stepped into the leading big man role of the La Salle Green Archers and flourished. He averaged 12.9 points and 9.6 rebounds in his break out season. Angelo Kouame of the league-leading Ateneo Blue Eagles took home the Rookie of the Year award. 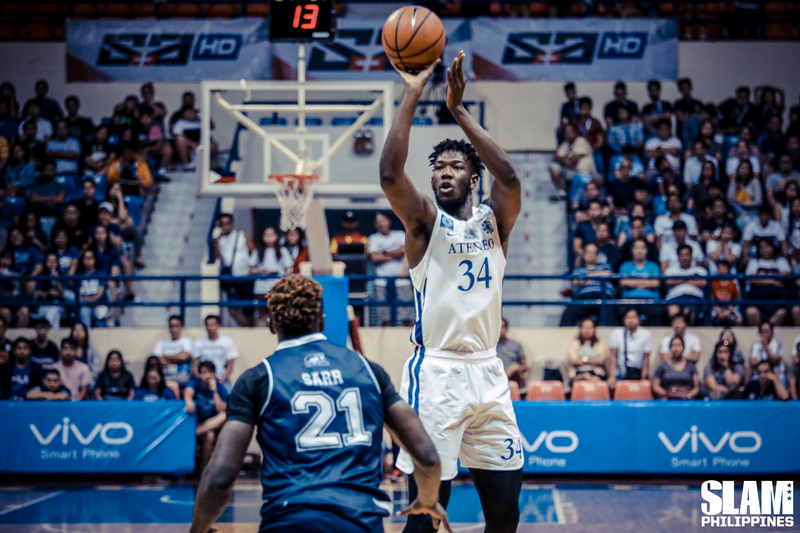 The big man led the Blue Eagles in scoring at 14.4 points per game. He was second overall in rebounding with 13.6 rebounds per game. He led the league in blocks, posting 3.2 blocks per game. Because of the UAAP’s one foreign student athlete rule, Kouame missed out on the Mythical Team despite being second overall in statistical points next to Akhuetie. UP’s center took the slot for the foreign student athlete in the Mythical Team.